Minimize grease leakage and maximize the life of your trailer's grease seals by switching to this smooth-operating system. The high-quality neoprene seals ride on consistently greased stainless steel rings for easy, free movement. Lowest Prices for the best trailer bearings races seals caps from Bearing Buddy. Spindle Grease Seal Set for L44649 Inner Bearing and 1.980 Bearing Buddy part number BB60005 can be ordered online at etrailer.com or call 800-298-8924 for expert service. Everything is A-Okay!!! Thanks for the great customer service!!! Based on the measurements you gave me the Spindle Grease Seal Set, part # BB60005, would be the correct seal for your spindle. Since your previous seal had an o-ring and this # BB60005 has an o-ring also then this would be the correct part for you. Thank you for providing the measurements of the grease seals you need. We do offer seals that match your measurements, and which also correspond to the bearing number you provided, L44649. 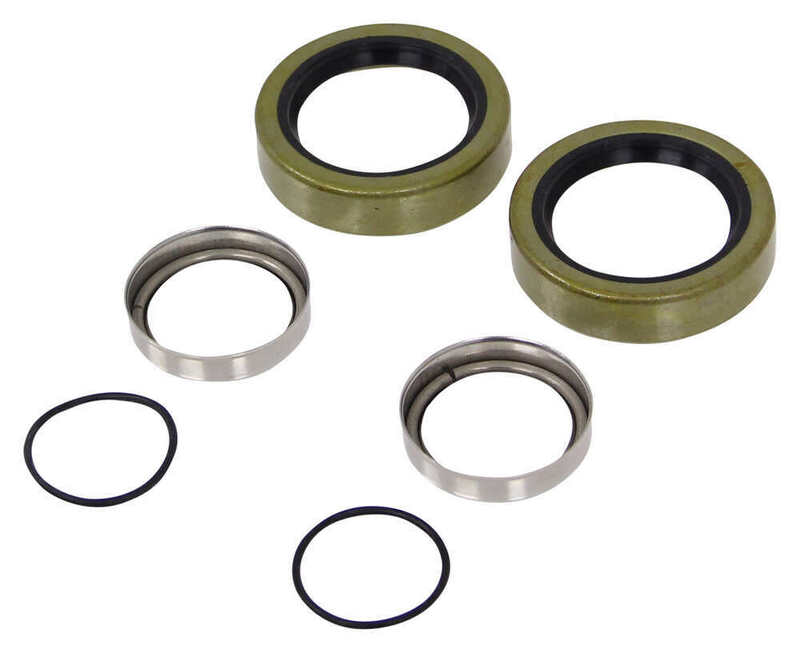 Part # BB60005 consists of two seals and seal rings, enough for 2 hubs. If you have a tandem axle trailer you will need two kits. For your reference I have linked a product video for this part. I called my contact at Bearing Buddy and they told me that the seal ring included with the Spindle Grease Seal Set, part # BB60005 will work fine on your spindle that measures 1.25 inches diameter. This set includes the steel seal ring, O-ring, and neoprene, double-lip grease seal. The kit includes all parts needed for 2 hubs. 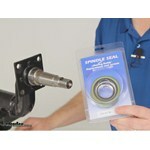 The seal is compressed when the hub is tightened down and keeps grease from escaping on the inner side of the spindle. I tried to find your previous order with us to see what you already have but I was unable to. 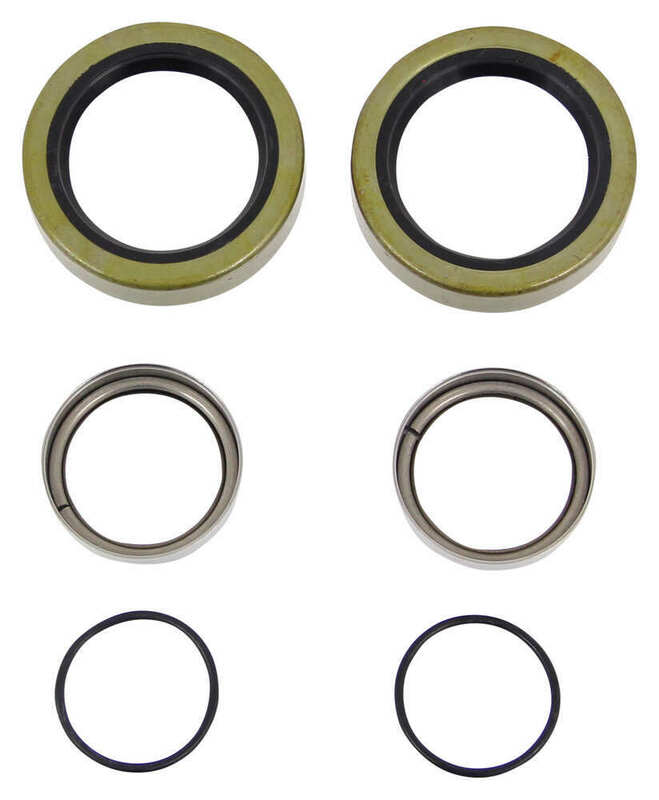 Regardless, the correct seal set for your # L44649 bearings with a hub bore of 1.980 is # BB60005. 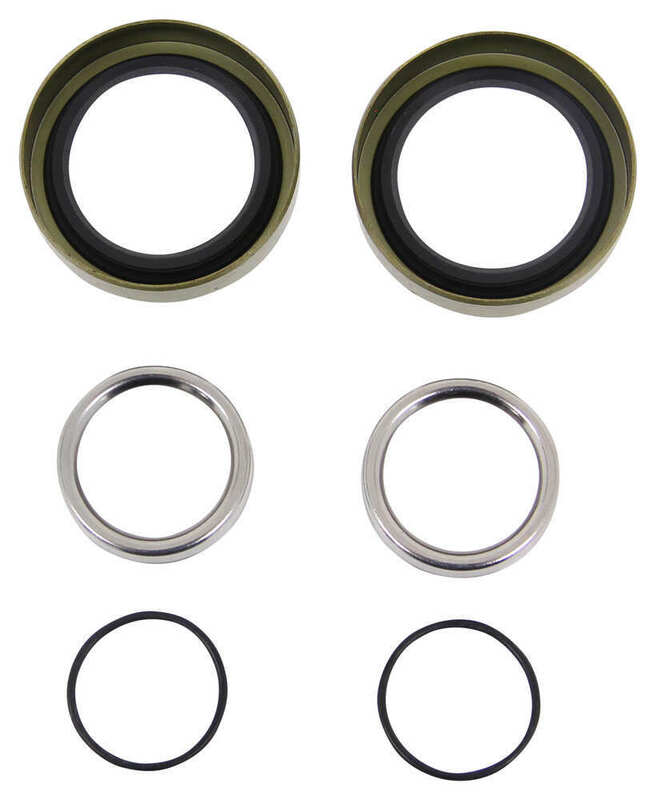 These seals are neoprene with greased stainless steel rings like you're looking for. The inner diameter of the steel ring of the # BB60008 is 1.25 inches as it is designed to be used with hubs that have an inner bearing number of # LM67048. Since your inner bearing seems to have a 1.5 inch inner diameter most likely you have the L44649 bearing (you need to verify this), and the correct kit for you would be part # BB60005. Yes, the Bearing Buddy Spindle Grease Seal # BB60005 can be used without a Bearing Buddy bearing protector. However, it depends what's causing the issue as to whether or not this will solve your problem. I would inspect your spindle and make sure it's smooth and not damaged at all. It's possible the seal failure you're getting is from the seals not being on a good surface to start out with. The stainless steel seal ring that is included in the Bearing Buddy Spindle Grease Seal Set # BB60005 referenced in your question has an inner diameter of 1.065 inches and outer diameter of 1.375 inches. This kit is designed to work on spindles with the # L44649 inner bearing and Bearing Buddy models with 1.980 inch hub bores. I have also attached a short video demonstration on this kit so you can see exactly how it installs. 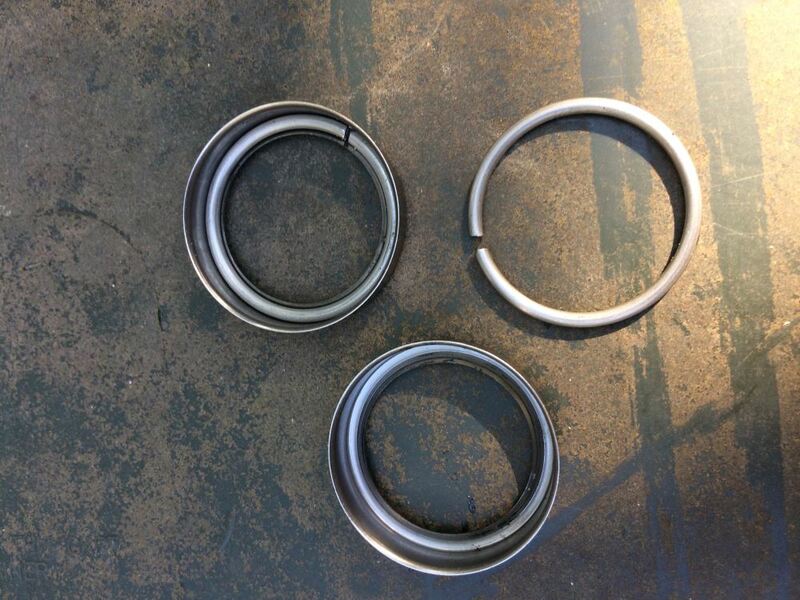 Yes, the bearing kit part # BB60005 that you referenced is the correct seal kit for the trailer hub part # 8-258-5UC1-EZ. Based on the dimensions you listed it sounds like you have a 2,000 lb capacity axle with hubs that use bearings # L44643. That would mean that the correct seal kit should be part # BB60005 but you'll want to also verify that your current seals have an outer diameter of 1.98 inches. The part # BB60005 should work for you since you have an inner bearing of L44649 and your seal inner diameter is 1.375 inches. You will want to verify that the inner diameter of where your current grease seal is on your hub measures 1.980 inches though. Another way to say this would be the outer diameter of your current grease seal.